Over the past few months, I've been part of a dedicated and inspiring team of individuals from multiple corners of the book ecosystem. We're the Advisory Council for the Our Voices, which launched today, the start of Banned Books Week. 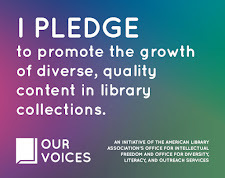 I'm incredibly proud of the work we're setting out to do, which will ultimately include an initiative to connect small, independent, and self-published content creators in the Chicago region to libraries and readers. What's gone live today is a pledge, which I encourage you to read and consider; to take; and to share with your friends and colleagues. If we want a more diverse, representative body of quality content for our communities, it's up to each of us to work toward that goal. 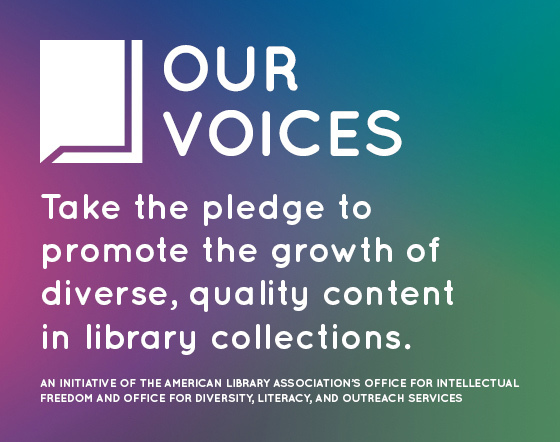 Please take a few minutes this week to peruse the Our Voices website and to take the pledge!